We provide anchor-handling and towing winches, single and multi-drums in line and waterfall types. These electric-, hydraulic-, or diesel driven anchor handling and towing winches for pulls up to 4000kN usually are custom built. We can supply electrically or hydraulically driven capstans with a nominal pull of 15 kN up to 300 kN. In addition to the standard vertical variety, we can design and deliver horizontal versions as well as more specialized types to meet individual requirements. Capstans of the planetary type can be delivered too. The safest and strongest hand-operated dock winches, anchor windlasses and barge-coupling winches for use on river push barges are part of our equipment. We design and deliver all types of tailor-made tugger winches either electrically or hydraulically driven. Winch speeds and pulls are designed to meet the requirements of the vessel. We supply Twin Rig Winches for both existing and new-built trawlers. Increased interest in twin-rig gear requires adequate application of mechatronic in winch design. Our new systems incorporate gear-mounted monitoring equipment and automatic winch controls, designed to ensure that twin-rig trawls are towed evenly and are moving in and out on the forces of waves. In response to full cost driven demand for twin-rig winches, we can offer a range of well proven equipment, electrically or hydraulically operated. 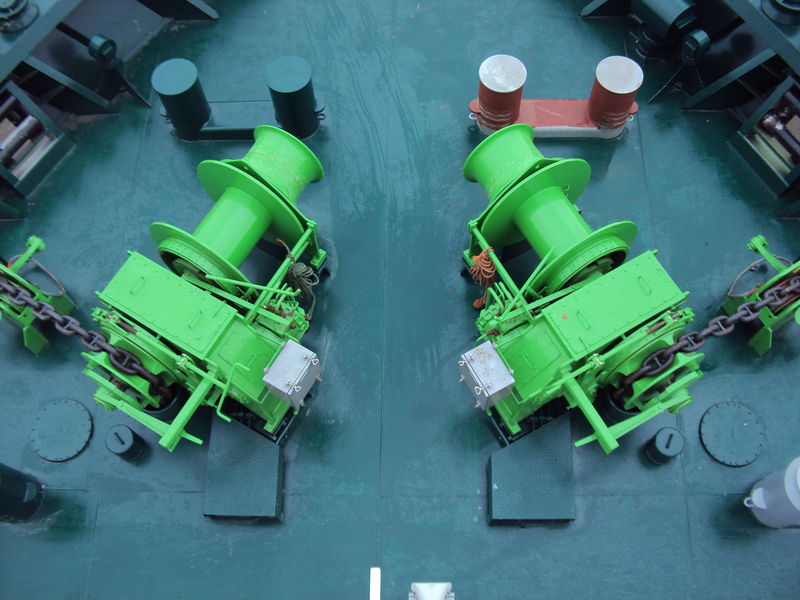 Twin-rig winches can be installed on existing or new-built trawlers. Different types and sizes are available to meet the requirements of each owner`s particular applications. 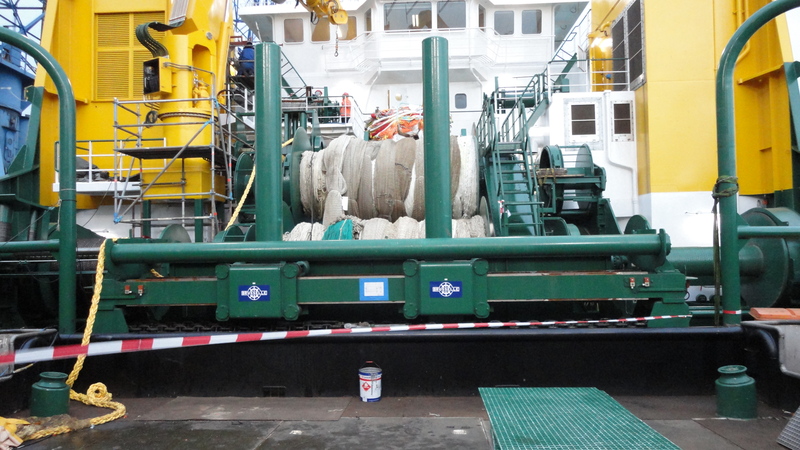 The spooling of Twinrig and other fishing winches can be extended by our well proven custom built net and cable guiding systems. Control of this devices can be incorporated in fishing control system. Both electrically or hydraulically driven systems can be delivered. We provide anchor-handling and towing winches, single and multi-drums, in-line and waterfall types. These electric-, hydraulic-, or diesel driven anchor handling and towing winches for pulls up to 4000kN usually are custom built. Draghead winches, intermediate winches, trunnion winches, bow connection winches and even underwater-pump winches are all part of our equipment. We have experience in the design and construction of special single or multi-drum positioning and spud-pole winches for installation and use on board of specialized floating units such as crane barges, pontoons, self-elevating offshore units, platform supply vessels, diving support vessels and other specialized crafts. 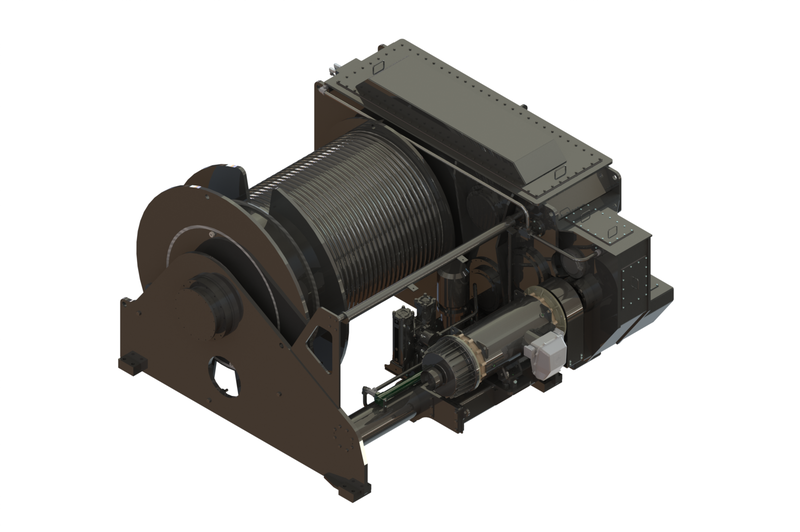 Each winch is custom-built to meet the specific requirements of the unit concerned. 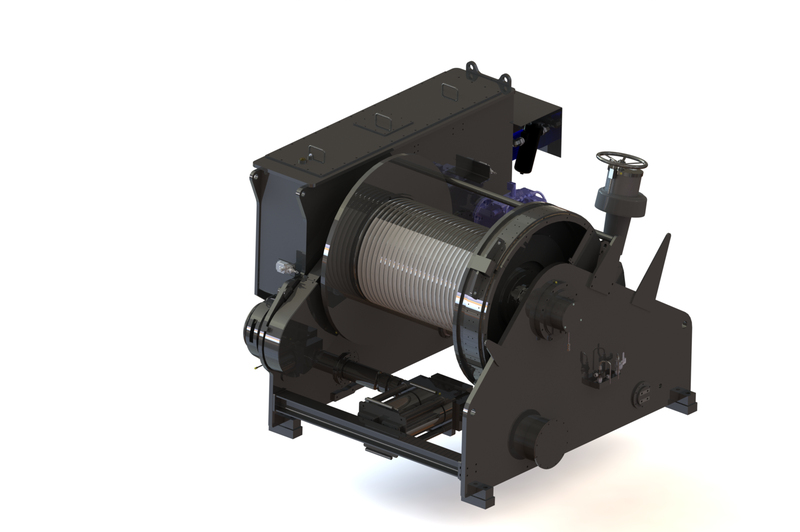 Spud-pole winches can be provided with either manual or auto tensioning pull, the range is from 20 kN up to 500 kN. Also special winches such as RAS/FAS winches can be delivered. Winch speeds and pulls are designed to meet the requirements of the vessel. The reputable flexibility of the winch design has convinced different country navies and owners of specialized crafts to select and install specially designed winches such as R.A.S./F.A.S. winches on board of their new buildings . BCM, a world-player in the engineering and production of winches and steering gear on among others dredgers, offshore, tugboats, trawlers and many more.